This story needs some background. You also might enjoy it more that way. This morning I left home with the normal car pool of kids, my four and one neighbor, using driving skills on the second busiest stretch of highway in America that were not only a great feat of engineering, they were a blatant defiance of all the laws of physics. Shortly thereafter I preached in our 7-12 chapel, taught two history classes, ate a discipleship lunch, went shopping for my son's birthday present, picked up the kids after school, and took the whole family to Barnes and Noble to spend some of a Christmas gift card. Each of us gathered a stack of books and sat around a table looking and reading, and sipping and slurping one cream soda, two chocolate and one strawberry frappaccinos, and two venti cafe mochas. I purchased the new English translation of Elie Wiesel's Night, his account of his family's Holocaust death but his survival, and then Misquoted Jesus by Bart D. Ehrman. I struggled on the latter, because I really did not want to support him financially, but I do need a few of these for reference. I'm not totally out of the loop of "scholarship" but I had not been in touch with Bart Ehrman until a week ago. One of our school teachers handed me a catalog called "The Great Courses," which contains a selection of "the best university courses recorded on audio and video." I have to admit that I was salivating over some of these lectures. 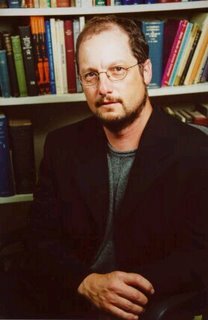 I noticed a majority of the Bible or religion sessions were taught by this Bart D. Ehrman from The University of North Carolina at Chapel Hill. I didn't think they would be good and I wouldn't want to hear them, but his name was still stuck in my mind when I walked into Barnes and Noble tonight. I opened the door for my family, and at that moment, so many other families were leaving that by the time I finished holding the door, not only had mine disappeared, but I was wondering if I could receive compensation as an employee. I walked straight ahead to that big display table right in front of the entrance with all the new hardbacks on it. The second one I noticed was the Ehrman volume, and I remembered his name. The subtitle of the book was "The Story Behind Who Changed the Bible and Why." I decided I wanted to find out who had changed the Bible. Later, as I sat reading at the cafe table, I found out what Ehrman was attempting to accomplish, which is why I bought it. He writes, "That is the kind of book this is---to my knowledge, the first of its kind. It is written for people who know nothing about textual criticism but who might like to learn something about how scribes were changing scripture and about how we can recognize where they did so." Oh goody (sarcasm). Well, who is Ehrman? He has an interesting story that I'll synthesize. He grew up in Kansas as an episcopalian, but still wanted to know the Bible. He had a campus crusade guy visit his public school and he had a "born again" experience that made him a "fundamentalist," and a few years later in 1973 he went off to Moody Bible Institute in Chicago. He went there thinking that he had the words of God in his hands. At Moody he found out shortly that no originals actually existed and that the copies had been changed, so that they weren't sure what the original words were any longer, but they still knew the originals were inspired. He writes, "This was a compelling problem. It was the words of scripture themselves that God had inspired. Surely we have to know what those words were if we want to know how he had communicated to us." He finished the three year institute at Moody, and then went to Wheaton with a warning from students at Moody that he'd have a hard time finding real Christians there. He spent two years at Wheaton and began taking Greek. He says, "I kept reverting to my basic question: how does it help us to say that the Bible is the inerrant word of God if in fact we don't have the words that God inerrantly inspired, but only the words copied by scribes---sometimes correctly but sometimes (many times!) incorrectly? What good is it to say that the autographs (i.e., the originals) were inspired? We don't have the originals!" This is my precise agreement with a prominent liberal theologian. Now, at this point in his life, he wasn't a liberal theologian, but it was this very question that led him to become one. But I agreed. What good is inerrantly inspired original manuscripts without inerrantly preserved ones? Ehrman is willing to tell the truth about this, because he doesn't have any reason not to say what he thinks. Unfortunately for him, he went the wrong direction, which is what a lot of people have done and will do when they hear this kind of thing. Well, what happened next? He decided he needed to dedicate himself to textual criticism and so went to Princeton Seminary to study under Bruce Metzger, whom he calls his "Doctor-Father." A recent book was published by a bunch of Bob Jones University grads in which Keith E. Gephart, a professor at International Baptist College in Tempe, AZ, writes a chapter called: "Are the Copies Reliable?" In more than half that chapter, Gephart takes from Bruce Metzger, the Doctor-Father of Bruce Ehrman. In Ehrman's very first semester at Princeton he was turned away from inerrancy and inspiration when he found out there were "errors" in the book of Mark, becoming convinced that the author himself made mistakes in the originals. Ehrman writes: "Once I made that admission, the floodgates opened." He follows: "This became a problem for my view of inspiration, for I came to realize that it would have been no more difficult for God to preserve the words of scripture than it would have been for him to inspire them in the first place." Exactly! But then I read precisely where he (and many others even in fundamental schools) went off track: "The fact that we don't have the words surely must show, I reasoned, (emphasis mine) that he did not preserve them for us. And if he didn't perform that miracle, there seemed to be no reason to think that he performed the earlier miracle of inspiring those words." Again, exactly! The biggest difference between Ehrman and me is that I believe that God did perform that miracle. He did; He did; He did! He said that He would, promised that He would! However, I agree with Ehrman's view of things with that major exception. Most of those who believe in perfect inspiration and imperfect preservation will say that there are very few differences. Ehrman, perhaps the most foremost scholar on textual criticism today, writes: "There are more differences among our manuscripts than there are words in the New Testament." You won't hear that statistic much from the guys at Dallas, Central, Detroit, Maranatha, Bob Jones, Masters, Calvary-Lansdale, among other places. Do you see the honest result of the destruction of the doctrine of preservation? I don't think that Ehrman was ever born again. He was born again about as much as Presidents Jimmy Carter or Bill Clinton were, who also profess this experience in their lives. Ehrman doesn't even believe in the canonicity of the 66 books. He would include others. This is the natural outworking of denying a miracle in preservation. How sad it is! Great post, but your picture is fuzzy (smile). I agree this is a great post. This is where the rubber hits the road and I thank you for laying it on the line. If God did not preserve His Word, then it is natural to assume He did not inspire it either. I call it the domino affect. If He inspired it then He surely preserved it. I seriously like what you write. And you're funny, too. I agree, "If He inspired it then He surely preserved it!" Thanks one and all for your feedback. 4given, thanks for visiting the blog less travelled, and I hope that it makes all the difference. You also have my endorsement to recommend it to others. Hello Pastor, this is Juan and all I can say is AMEN!!!! Pondered the consequences of not believing God preserved His word on a large scale before you consider the preservation of each word. What if He did not protect whole books. Let's say, for example, that one of the epistles was lost when robbers killed the man carrying it to its intended recipients. What if there were another book of the magnitude of The Revelation or Romans that was eternally lost? It is absurd to think that such a loss would be possible. God wouldn't allow that! If He can protect His word on that scale, why do we have so much trouble believing He could protect individual words? In the end, the preserved word of God is only available to those who have the faith to believe that God did, in fact, preserve it. How ironic. I agree Pastor Shafer that this all connects to the sovereignty, power, and veracity of God, which is one reason I won't stop talking about it. Don't forget the t-shirt with the sport coat. Smiles. Story behind it, I attended a church where the pastor always wore the type of sunglasses that he thought made him look Kewl. I thought he looked like an idiot, and told him, being 40 and trying to act 16. You have to have that bored yet slightly quizzical look on your face too. Is there some kind of handbook dealing with "how to look like an intellectual"??? It seems like all the liberal scholarly types have the same dress, attitude, facial expression, etc. How do you make photos? Is this the same thing as taking a new picture? And if so, the subject wouldn't be new. Do you want less blurr? Smiles. Nice post even if it was 10 years ago! I am teaching this issue (it is still current) here in Estonia, but we run into a HUGE problem in that the only available Bible is similar to the NIV. The Bible Society holds tight control on the copyright and seems to not even care. Where Did the Mess Begin?